Chef Lynn Crawford and last year’s Culinary Showdown winners. 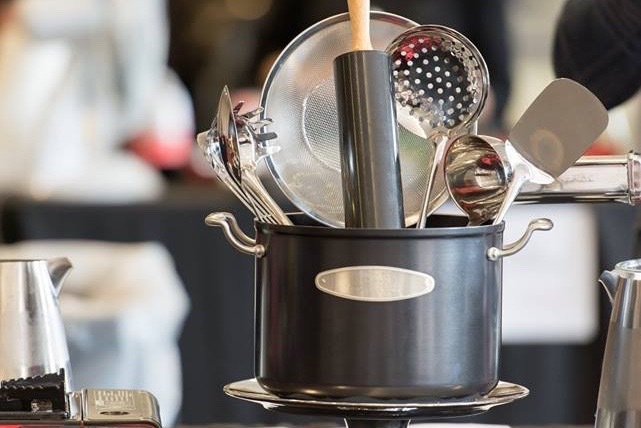 Yorkshire Valley Farms is proud to be part of this year’s KitchenAid Cook for the Cure Culinary Showdown event, organized by the Canadian Breast Cancer Foundation. On November 14th, the top fundraisers will gather with their Celebrity Chef Team Leaders to cook up delicious menus for the judges, all to raise funds for important research that is working towards a future without breast cancer. We spoke with the team at the Canadian Breast Cancer Foundation to learn more about the research they are supporting, to hear some inspiring fundraising stories, and to get a sneak peek as to what’s in store for this year’s event. 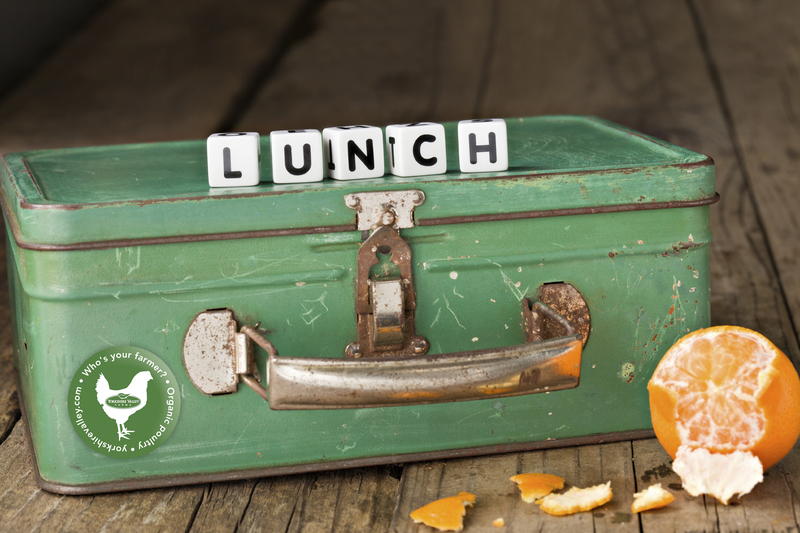 Can you give us a quick overview of the Culinary Showdown initiative? 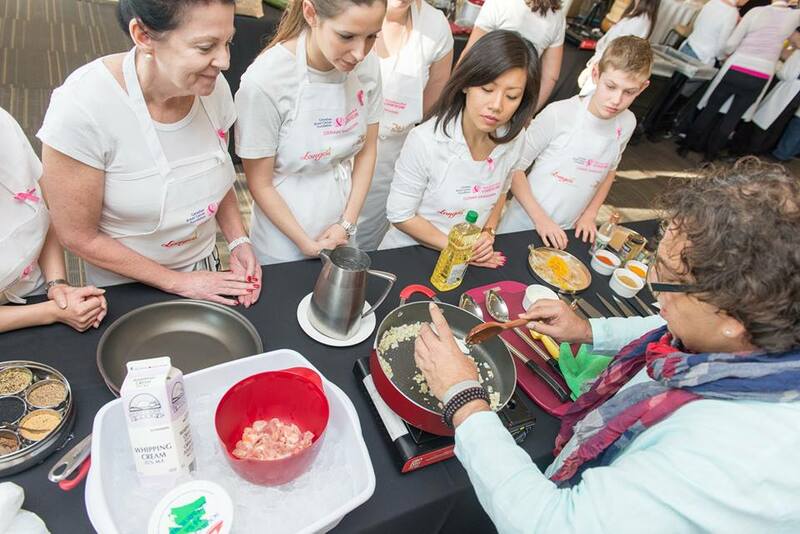 The KitchenAid Cook for the Cure Culinary Showdown is one of the Canadian Breast Cancer Foundation’s Signature Events. The event, now its third year is the ultimate foodie experience. It gives fundraisers the opportunity to cook alongside one of five top FoodNetwork Celebrity Chefs in a cooking challenge normally reserved for TV! This year’s chefs include Lynn Crawford, Corbin Tomaszeski and three new additions: Quebec award-winning Celebrity Chef Ricardo, along with one of America’s Top 10 Pastry Chefs, Elizabeth Falkner and owner of New York City’s Red Rooster Harlem restaurant and resident judge on Chopped Chef Marcus Samuelsson. The event will be hosted by Noah Cappe of “Carnival Eats”. We are expecting this year’s extraordinary challenge to be better than ever! The coveted Culinary Showdown trophy. How much are you targeting to raise through this year’s Culinary Showdown event? Over the last two years the event has been a tremendous success and has raised over $1,200,000 for the Canadian Breast Cancer Foundation (CBCF) with participants from across Canada. This year through our incredible fundraisers, sponsors, and silent and live auction we are hoping to raise $766,000! From fundraising alone our hope is to reach $340,000. How are funds raised through the Culinary Showdown applied? 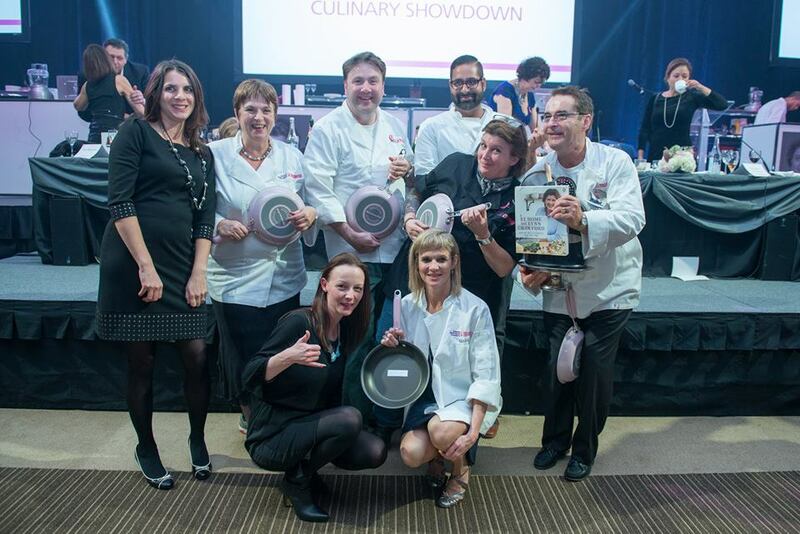 Funds raised through Culinary Showdown will help the Canadian Breast Cancer Foundation continue to fund high impact work at both the national and regional level which will lead to better detection and treatments, improved quality of life, and lead to significant increases in survival rates for Canadians diagnosed with breast cancer. Participants take it all in at Chef School. Are there are any fundraising stories – examples of extraordinary creativity or community support – that really stand out? Tina Walters is participating in the KitchenAid Cook for the Cure Culinary Showdown for her first time. This year Tina made a cookbook of family recipes to sell when her mother became sick with cancer again, and now sells them in memory of her. With the proceeds from selling over 300 of these, baking lasagna, and collecting donations in her community of Millet, Alberta Tina has maintained the position of top fundraiser since May. Tina came to Toronto earlier this year to attend an event with Chef Corbin and shared her story. It was so compelling that a number of people registered on the spot. Additionally, another fundraiser purchased 50 cookbooks from her that night. Though Tina has been supported by the people in the community, her biggest support has been her husband, who has stood by her tirelessly through everything that she has done, from producing this cookbook, to speaking on local radio. Tina has been and continues to be an inspiration to many. Why partner with companies like Yorkshire Valley Farms? Without the support of our amazing sponsors, like Yorkshire Valley Farms, not only could we not put on incredible events like the Culinary Showdown, but we couldn’t afford to fund incredible, ground breaking research like Dr. Gunning’s. It is only through support from sponsors and fundraisers that we will get to our goal of creating a future without breast cancer. It is also important to the Foundation to partner with the right companies. We strive to ensure that anyone that the Foundation partners with shares or values our beliefs. We have a strict guideline for selecting our partners so that our stakeholders can be assured that we are practicing what we preach so to say. Are there any new elements in store for this year’s event that you can share? Guests of this year’s Culinary Showdown can look forward to a few new elements to this year’s event. You can look forward to more interaction for our guests in the audience as well as some incredible silent and live auction items. With 3 of the five chefs being new this year, I think you can also look forward to it getting a bit hot in the kitchen!! The competition is going to be fierce!! †Canadian Breast Cancer Foundation, Cook for the Cure and pink ribbon ellipse are trademarks of the Canadian Breast Cancer Foundation. KitchenAid is a trademark of KitchenAid U.S.A., use under license in Canada. All rights reserved. All photos used with permission of Canadian Breast Cancer Foundation. Thanksgiving is a time to celebrate the harvest and, a time to reflect on all that we have to be thankful for, and for many of us, a time to gather with family and friends to share a meal. While we may all have different traditions as to what should be on the Thanksgiving menu, many tables will feature a roasted whole turkey at the centre. 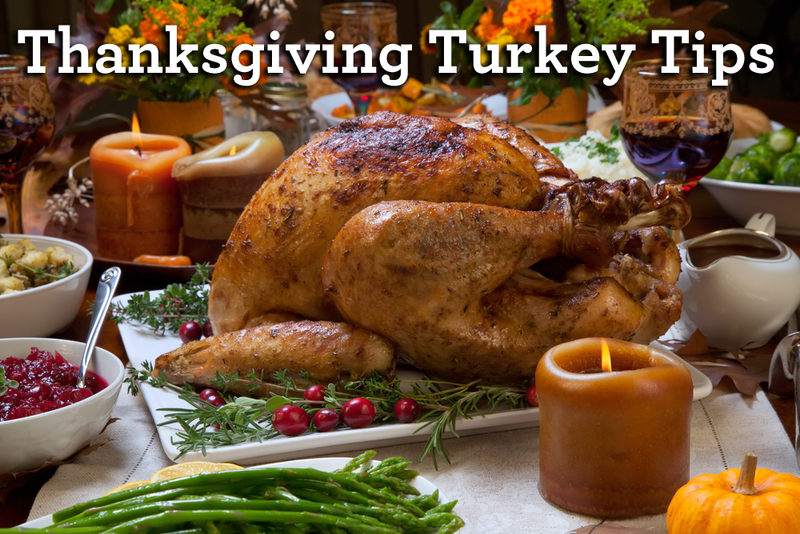 Here are some tips to help you successfully prepare and cook your Thanksgiving turkey. If your turkey is frozen, leave the turkey in the original package and choose one of the following methods to thaw your turkey. Do not thaw turkey at room temperature. This method is preferred, as it keeps the turkey meat cold until it is completely defrosted. Leave turkey in original plastic wrapper. Place turkey in refrigerator on a tray with sides (this is helpful to catch any liquid that escapes during defrosting). Allow 5 hours per pound (10 hours/kg) defrosting time. Cover the turkey completely with cold water (the sink is a good place for this). Change water at least every hour – we recommend refreshing water every 30 minutes. Allow 1 hour per pound (2 hours/kg) defrosting time. Turkey should be cooked as soon as it is thawed and held in the fresh state for the minimum time possible to discourage bacterial growth. There are different points of view on the best way to cook a whole turkey. To brine or not to brine (click here for brining tips)? To flip or not to flip? One of the most common methods is to place the turkey, breast side up, on a rack in a roasting pan. Tent loosely with aluminum foil. Roast in 325ºF (160ºC) oven until thermometer inserted into thickest part of thigh registers 180ºF (82ºC) for a stuffed turkey or 170ºF (77ºC) for an unstuffed turkey. For golden skin, remove foil tent for last hour of roasting. You can find a helpful guide to cooking times depending on the size of your turkey on the Turkey Farmers of Ontario website. When turkey is done, transfer to warm platter. Tent with foil and let stand for 20 to 30 minutes. This allows time for juices at the surface of the bird to distribute evenly throughout the meat. Remove all stuffing from cavity. Carve turkey. Enjoy! Visit http://makesitsuper.ca/ for more tips and tasty recipe ideas from the Turkey Farmers of Ontario. Whether on a patio, at the beach, on a dock, in a tent, or simply sitting in the backyard watching the grass grow, summer is all about getting outside to savour the sunshine. What better way to enjoy the great outdoors than with a BBQ! As chicken fans, we’re keen to cook up chicken breasts, thighs or drumsticks as part of a mixed grill. If we have a little more time, we’ll go for a whole chicken cooked over a beer can. With so much fresh produce in season, we might make up some chicken skewers that incorporate seasonal vegetables. And of course there’s always room for wings on our grill. To help you enjoy a season of tasty and safe al fresco dining, here are some BBQ food safety tips. At home, store raw meat in the refrigerator immediately after you return from the grocery store. Freeze raw poultry or ground beef that won’t be used within one to two days. Freeze other raw meats if they won’t be used within four to five days. If you are storing your meat in a cooler before barbecuing, make sure that the cooler is kept cold with ice packs. Keep the cooler out of direct sunlight and avoid opening it too often, because it lets cold air out and warm air in. Ensure that your meat products are well sealed and that ice water doesn’t come in contact with stored meat products. This can lead to cross-contamination with others items in the cooler. You may also want to use two coolers, one for drinks (as it may get opened more often) and another one for food. Whether you are storing the meat in the refrigerator or a cooler, always remember to keep food out of the temperature danger zone of 4°C to 60°C (40°F to 140°F). Bacteria can grow in this temperature range. In as little as two hours in this range, your food can become dangerous. Marinate meat in the refrigerator, not on the counter. If you want to save some of the marinade to baste cooked meat or use as a dipping sauce, make sure to set some aside in the refrigerator that hasn’t touched uncooked meat. Don’t use leftover marinade that has been in contact with raw meat on cooked food. 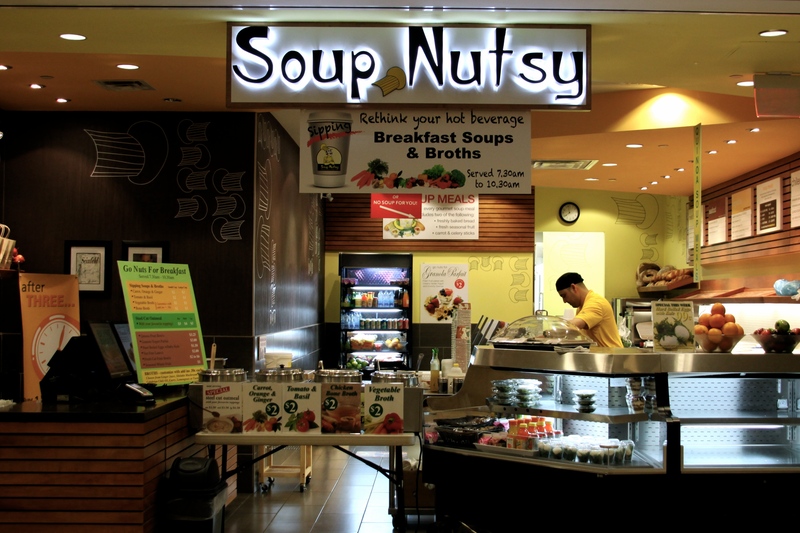 Remember to keep hot food hot until served. Keep cooked meats hot by setting them to the side of the grill, not directly over coals where they can overcook. Use a clean plate when taking food off the grill. Remember not to put cooked food on the same plate that held raw meat. This prevents it from being re-contaminated by raw juices. Cool food by using shallow containers, so that it cools quickly. Discard any food left out for more than two hours. On hot summer days, don’t keep food at room temperature for more than one hour. For a guide to safe cooking temperatures for various meat cuts, and for other safe BBQ cooking tips, visit the Government of Canada’s website. Need some BBQ inspiration? Check out this recipe for Sambal Glazed Chicken Wings. Or try our new fresh organic chicken burgers. 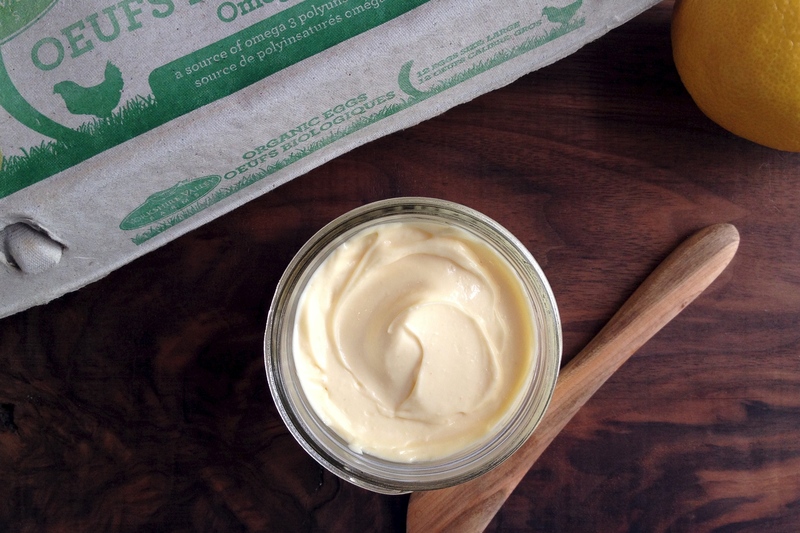 Homemade mayonnaise is easier to make than you may think, and quicker. With the help of an immersion blender, you can have fresh homemade mayonnaise in 2 minutes or less. And when making mayo at home, you can build off the basic recipe to customize different flavour variations like garlic mayo, spicy mayo, or herbed mayo. Since the list of ingredients is so simple, using high quality eggs is important, as the egg adds to the flavour and richness of the final product. 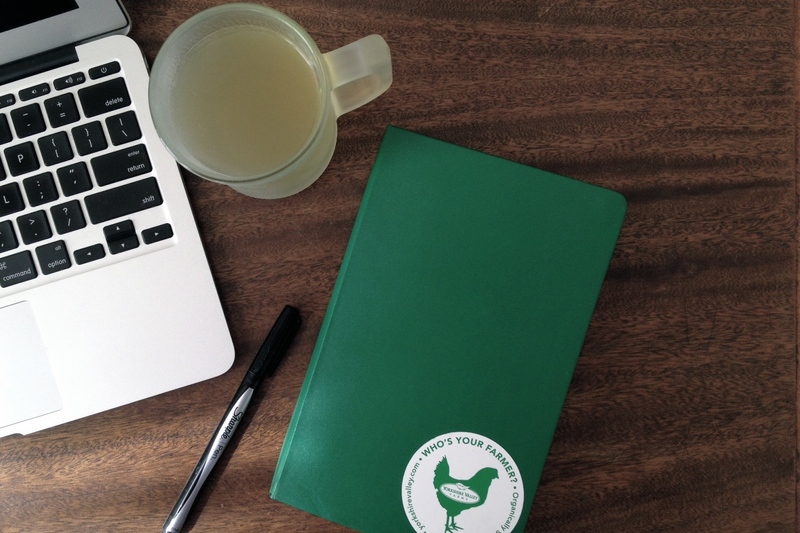 In the #YVFkitchen, we obviously choose Yorkshire Valley Farms organic eggs! Use your homemade mayonnaise to add a little zip to your favourite sandwiches; add to leftover chicken pieces to make chicken salad; chop up hardboiled eggs make egg salad; or try dipping baked potato or sweet potato wedges into mayonnaise instead of ketchup. Place egg yolk, lemon juice, water, mustard, salt, and flavour variation ingredients if including, in the bottom of the immersion blender cup. Alternatively, you can use a 500mL wide mouth mason jar, which saves some dishes, as you can store the finished mayonnaise in the jar. Pour oil into the cup and allow ingredients to settle for a few seconds. Submerge immersion blender into the cup, all the way to the bottom, and turn it on. The ingredients will begin to emulsify and your mayonnaise will form. Tilt the cup and/or move the blender up and down within the mayonnaise to ensure all the oil has been incorporated. Season with additional salt if needed. Store in the refrigerator in a sealed container for up to one week. 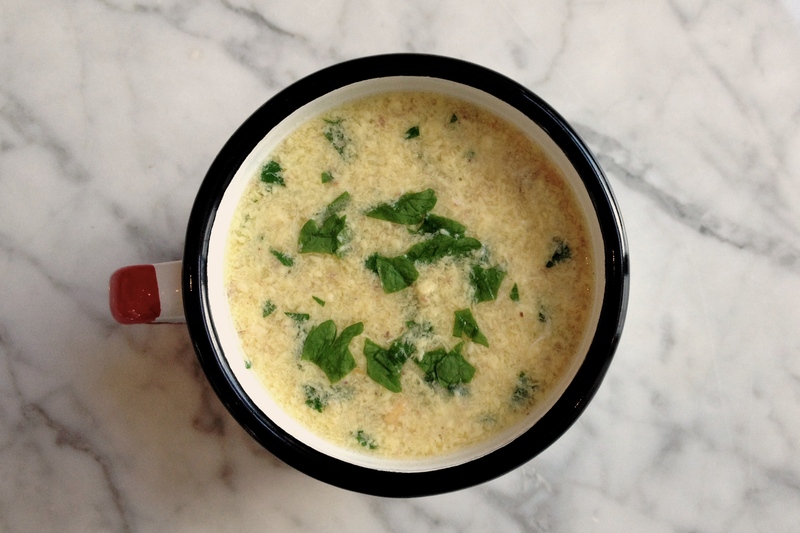 This is our take on stracciatella alla romana, an Italian egg drop soup that is wonderfully comforting on a cold winter day. It is easy to make and requires only a few ingredients. Here in the YVF Kitchen, we like to serve our stracciatella in mugs, alongside some crusty bread, for a quick lunch. Our version of this soup is Inspired by the cookbook ‘How to boil an egg’ from Rose Bakery, a beautiful collection of recipes that celebrate of the humble, versatile egg. 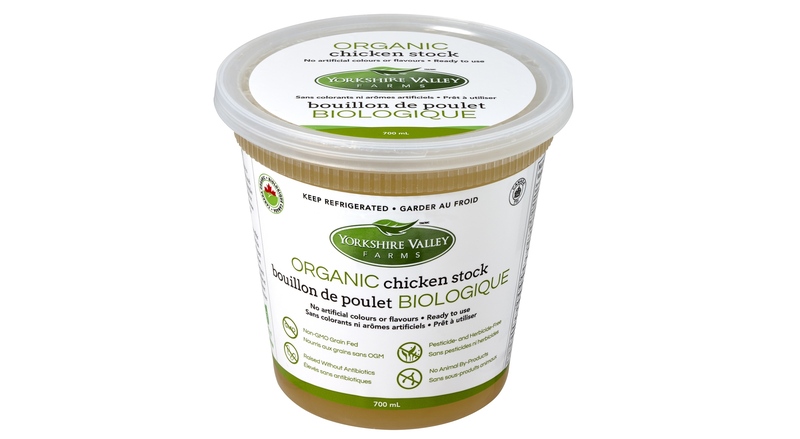 Transfer the Yorkshire Valley Farms organic chicken stock to a medium-sized pot. Heat the stock to a boil and then reduce to a gentle simmer. While the stock is heating, gently beat the eggs. Add the ground almonds, Parmesan cheese and nutmeg. Mix to combine. When the stock is at a gentle simmer, add the parsley, then add the egg mixture and swirl around the pot. If using shredded greens, add now and stir to combine. Remove pot from the stove. Ladle soup into mugs or bowls. Sprinkle with extra parsley and Parmesan if desired. Serve alongside your favourite salad or a warm baguette. Makes 4 small servings or 2 large.